The strange case of Western Sydney, the front page story, the confused candidate and the biased bitter media dinosaur. Peter Wicks reports. LAST NIGHT was a bitterly cold night in Sydney and for hundreds of those who are homeless and living on the streets, the nights are now becoming even colder. The problem for these poor souls is that Rupert Murdoch has indirectly taken away their blankets and a major source of their warmth. Sources claim that the homeless living in Sydney’s streets may not have a lot – often only what fits in their pockets or for some a shopping trolley – but they have their dignity. “We may live like s**t but we don’t have to cover ourselves in s**t when we sleep”. Another satisfied Ltd News customer. However, one persons trash is another person's treasure, as the saying goes. The treasure this time has been for furry felines, however. Cats around the city have been purring contentedly as copies of the Telegraph are now be relegated to where they belong, at the bottom of kitty litter trays for cats to relieve themselves upon. We have heard a lot about the bias of media, yet rarely has there been such an obvious case shoved in our faces. The reporter (and I use this description loosely) who knocked up this drivel is Ben McClellan, who until recently worked at the Blacktown Advocate, a local News Ltd paper. The front page of Monday's Telegraph led to another article from McClellan on the feeling of those in the area he used to work in, the Blacktown region, in the electorate of Greenway. Greenway is currently represented by Michelle Rowland of the Labor Party, but it is the NSW's most marginal seat and Michelle won by less than 1,000 votes last time around. 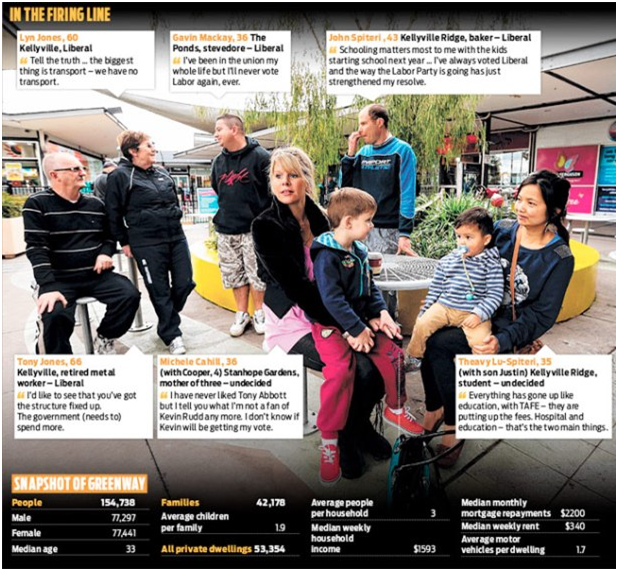 Despite the area being held by Labor and despite Labor’s solid support in the area, Ben McClellan – with all of his journalistic talent – apparently couldn’t find a single Labor voter when he went to a local shopping centre. He must have been trying really hard. McClellan spoke to several people about why they were not voting Labor and even had a picture with what they told him on it, the picture is below. The first thing you notice, is that there were only three issues mentioned by these people as reasons why they won’t vote for Labor: public transport, education and hospitals. That is, NSW State Government issues. That's right, these people apparently don’t intend to vote Labor federally because of what a Coalition State government is doing. Covered in these statements are the issues that Nurses have been protesting about for weeks and the cutbacks in hospital spending by Barry O’Farrell, Barry O’Farrell’s $1.7 Billion education cuts that also included TAFE, and the state of public transport as the Coalition combine cuts and privatisation sell offs. Chilcott's Butchery is celebrating its 80th year this month and namesake Ron said more needed to be done to help small business. He said the price of everything had gone up, from cleaning his grease trap to electricity bills, which were now costing him $1000 a month. "They can rein in the costs in for a start, cut out the waste," Mr Chilcott said. Aside from the power bills being passed on by the Coalition state government, I’m sure that Mr Chilcott will be reassured knowing that his landlord Mirvac who own the Shopping Centre, will receive a company tax rate increase of 1.5% should Abbott win in September to cover the Coalitions parental leave scheme. This will increase their company tax payments by a staggering 5% — something that I’m sure will have a direct and harsh impact on his rent. The Liberal candidate for Greenway whom McClellan seems to assume everyone that day will vote for is an immigration lawyer named Jaymes Diaz. 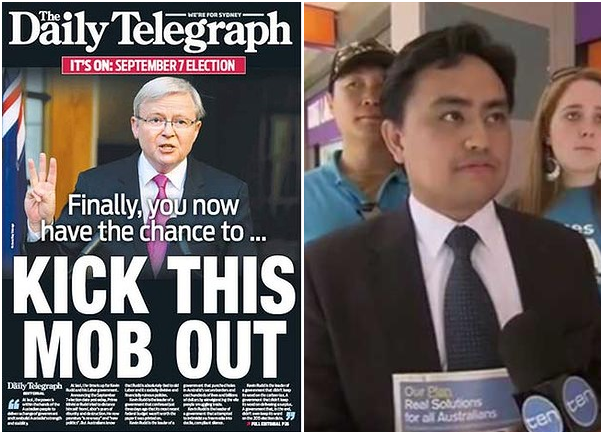 Whilst Tony Abbott's policy is to stop the boat ... or turn them around ... or something ... anyway, Jaymes Diaz makes a living ensuring people get in to this country. When a boatload of Asylum seekers is detected, Tony Abbott sees red, however Jaymes Diaz must see dollar signs and hear “ker-ching”. Little wonder then that Tony Abbott was widely reported to be strongly opposed to Jaymes Diaz’s preselection after Diaz’s failure in the 2010 election. Despite Abbott backing another candidate, and what seemed like a million others throwing their hats in the ring – including burnt out rocker from the opposite side of town, Angry Anderson – at the end of the day, the factional powerbrokers and "faceless men" of the Liberal Party fought it out and, reportedly with the aid of a large amount of branch stacking, Jaymes Diaz eventually came up trumps. 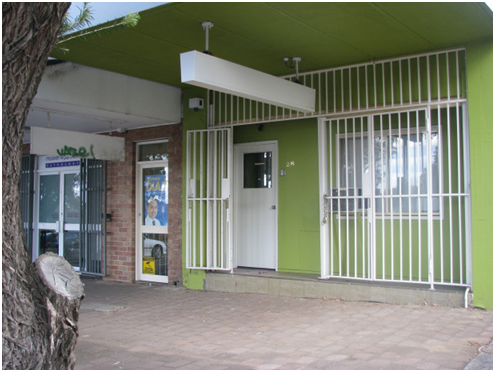 Jaymes Diaz’s campaign office (pictured above) was officially opened by Malcolm Turnbull on what must have been a proud day for the party. Situated in a dingy neghbourhood, with what is said to be a brothel operating right next door with a Jaymes Diaz corflute on it — that is the salubrious Diaz / Liberal Party campaign office. 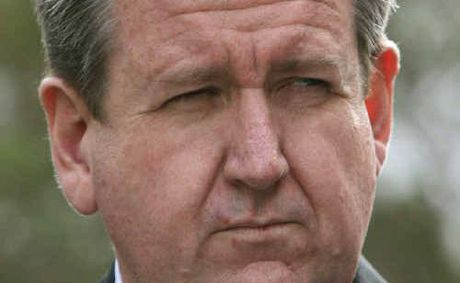 Diaz last made the news in 2010 with some comments he made on the campaign trail regarding the neighbouring electorate of Chifley. Diaz was having a chat with local voters when his father Jess, a Liberal Councillor on the local Blacktown Shire Council, came over. ... he guided the conversation to see if I lived in Greenway. I confirmed I did, but my friend mentioned he lived in the seat of Chifley. Jaymes Diaz and his father had a good giggle to each that the seat was a lost cause; 'unfixable … too many Muslims'. Jess Diaz has been a loyal member of the Liberal Party lately, supporting the sell-off of both Mt Druitt Pool and Blacktown Aquatic Centre, the privatisation of local childcare centres, the compulsory acquirement of residents homes to make way for highrise apartments and the dumping of pensioner rebates on council charges. If you think that that is cringe-worthy, check out the full interview via this link, where Jaymze talks about a pensioner who can’t afford to run their heater, whilst his father is taking away council pensioner discounts. So, local Liberal supporters have not ended up with Angry Anderson — they have Dopey Diaz instead. This is the Greenway that Ben McClellan couldn’t seem to find. Given his inability to find what is in front of him, I wonder if he managed to find his car in the car park afterwards. 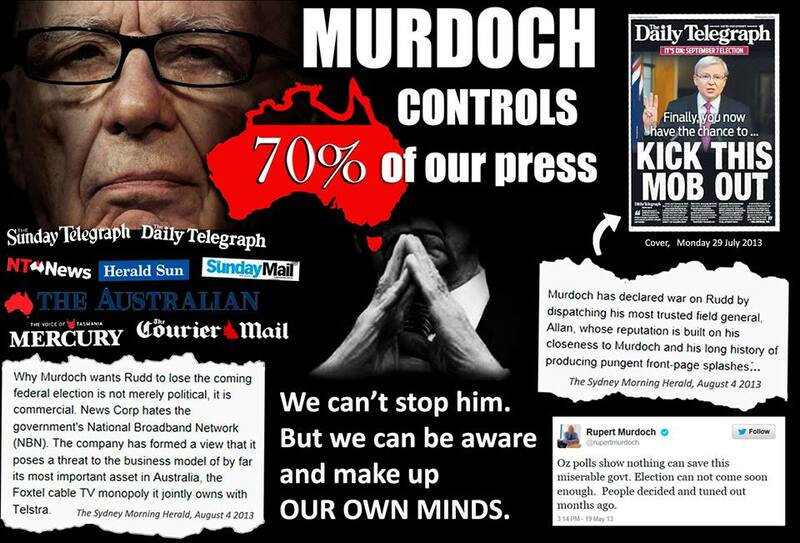 News Ltd are clearly only interested in the glass half empty approach, and are seemingly looking to buy themselves the Manchurian Candidate in Tony Abbott. Those who read front pages that say 'Kick this mob out' and take them to heart need to take heed of the moral fibre of the organisation that is saying it. News Ltd and the Daily Telegraph are a part of News Corp.
News Corp is the company that is comfortable with pursuing and then bankrolling the hacking of the mobile phone of murdered 13 year old girl Milly Dowler and then deleting messages – and therefore possible evidence – making her parents believe in vain that she is still alive. I can think of fewer things more callous and cruel. If that is what floats your boat (pardon the pun) then vote for Abbott and the Coalition as News Corpse seem to suggest. Funnily enough, as I write this, it has been announced that News Corp had been forced to apologise to Barbara Ramjan for accusing her of being a liar. Barbara’s crime was telling Fairfax’s David Marr about the time when her face was in the close vicinity of Tony Abbotts flying fists. A company that brands a female victim of intimidation and assault a liar. Peter Wicks is a former NSW ALP State candidate and is a Labor Party member.